One of the most valuable benefits of membership is the opportunity to meet other professional women at Signature Events, conferences, and programs sponsored by BPW/NC and our local Clubs throughout the year. The Individual Development Program was originally instituted in 1968 by BPW/USA to help participants develop leadership skills while introducing them to BPW/s mission, goals, programs, and issues. The Individual Development program has been revised to meet the needs of today's working woman. Taking a broader approach in the areas that face women on a day-to-day basis in the workplace, IDP is one way that BPW/NC helps members and nonmembers acquire the skills they need to be active and progressive participants at work and in their communities, and to be able to speak effectively on issues that concern them. The BPW/NC Career Woman of the Year was established to bring recognition and appreciation of the diverse contributions of women in the work force and in the community. This competition is open to all working women. Nominees in the past have been physicians, educators, executives, politicians, lawyers, artists, human service workers, entrepreneurs, and law enforcement officers. It was established at the Club level to recognize the contribution of a woman's commitment to the BPW aims and objectives, as well as her personal and professional progress. Club Awardees go on to enter our State Award program. Falling during the 3rd week of October, National Business Women's Week® is a great opportunity to recognize and highlight the progress women have made as business owners and entrepreneurs. It is also a great opportunity to recognize women who exemplify personal career success. That is why BPW/NC local clubs typically award Career Woman of the Year during the month of October. The Young Careerist Program (YC) was founded in 1964 by Virginia Allan who served as our National President in 1963. She recognized the need to recruit younger members -- and realized their professional, personal and political achievements of young professionals needed to be honored. Participants, both BPW and prospective members, compete to represent BPW on the Local and the State level by delivering a prepared 4-minute speech, interviewing with judges, and preparing a biographical statement and application. BPW/NC boasts a long list of former Young Careerist participants and representatives who, by their participation, have developed a greater sense of self-esteem, and have gone on to more rewarding and fulfilling careers and have demonstrated themselves as outstanding leaders in their communities. More than two million women have served in the U.S. Armed Forces and there are currently 1.8 million women veterans. 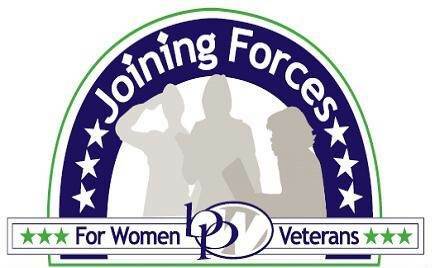 As part of the ongoing commitment of Business and Professional Women's Foundation to support women veterans, BPW Foundation has conducted research, centralized resources and developed financial and other programs to help our 'sheroes' and their families as they transition into civilian professional life. Find out more about our BPW/NC Women Joining Forces program. BPW/NC is proud to sponsor Reality StoreSM, a curriculum for middle school students. Offered in a game format, students learn the “reality” of a monthly family budget and the value of making appropriate choices in planning for career, family and their education. Realty Store is a simulation game in which students identify their career interests, research a specific career, and receive a mock checkbook with the monthly income entered for the specific career. Students then visit booths manned by community members at which they pay their monthly bills. Located in the Member Center is a digital resource library of information featuring many useful materials, including information about our Signature programs. BPW/NC members can login to the Member Center menu for details.